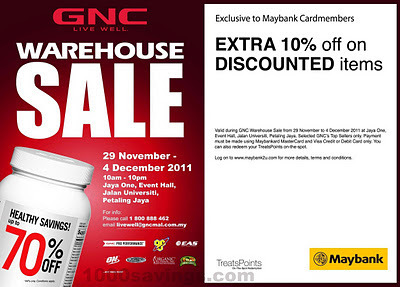 GNC Warehouse Sale @ Jaya One: Up to 70% discount! Get healthy savings up to 70% !! at Jaya One, Event Hall, PJ.